While we wait for the events leading to the 2019 Fortnite World Cup, expected to begin this fall, Epic Games announced today it will host a summer series called Summer Skirmish. The eight-week series will award a total of $8m (£6.05m) in prize money beginning with a $250,000 (£190,000) competition this weekend focused only on duos. Participants will be content creators and prominent competitive players but the announcement also states the format for future Summer Skirmish competitions will change week-to-week. No other announcements were made as to the specifics of the format i.e. all duos in a custom server, rankings based on kills, placements in a match or both. During E3 in June Epic announced it will be investing $100m (£74m) into Fortnite esports in the coming year including a World Cup in 2019. While no further details of the World Cup have been released yet, other than it will begin sometime in the fall, the Summer Skirmish will most likely not feed into the World Cup as it is said to be open to competitors of every skill level. With no access to public custom lobbies yet and the hunger for competitive Fortnite growing, tournament organizers have been forced to create their own tournament structures such as UMG’s Friday Fornite. Friday Fortnite is held every Friday in a double-elimination format with placements based on kills in a publicly queued match. Regardless of the lack of esports structure, major organisations have been putting their faith in players with teams like Team SoloMid, FaZe Clan and Team Liquid signing players in preparation for Fortnite esports. 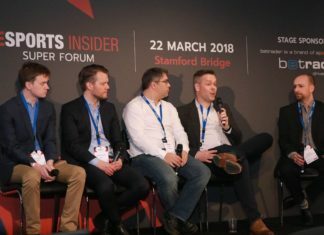 Esports Insider says: We feared we would have to wait until after summer for Fortnite esports but it seems to be coming to us sooner than expected. This will most likely be a test for Epic as the first weekend will focus mostly on content creators while qualifiers for the World Cup will be inclusive to players of all skill level. Regardless, it will certainly be exciting to see the actual first iteration of official Fortnite esports this weekend.